LOS ANGELES - As the US Midwest and East Coast thawed out from days of bitter, deadly cold, Californians on Friday battened down the hatches ahead of a fierce winter storm carrying heavy rains and high winds that could touch off urban flooding and mudslides. Though the sun was out in Los Angeles on Friday afternoon and temperatures hovered in the low 60s Fahrenheit, the National Weather Service (NWS) said rain would begin to fall later in the evening and continue without let-up through Saturday night. "This is a very big storm coming through Southern California" from the eastern Pacific Ocean, said National Weather Service meteorologist Rich Thompson. The NWS predicted up to 3 inches of rain in coastal and valley areas with 7 to 8 inches forecast for mountain areas. Central and Northern California were also expected to be hit by rain and high winds. Thompson said the weather service was not expecting the rain to be significant and sustained enough to cause widespread, damaging mudslides in areas left blackened and denuded of trees by major California wildfires late last year. "There might be the potential for minor mud and debris flows. Traffic accidents, urban flooding. Things like that," he said, adding that trees could fall amid high winds and saturated soil and that coastal waters could be dangerous for boaters. Winter storm watches were issued for the areas damaged by wildfires, including the foothills above the post seaside community of Malibu left blackened by the Woolsey Fire in November. An Arctic air mass sent south by a disruption in the polar vortex jet stream brought bone-chilling cold to a large swath of the United States this week, causing more than a dozen deaths, closing schools and halting mail service. 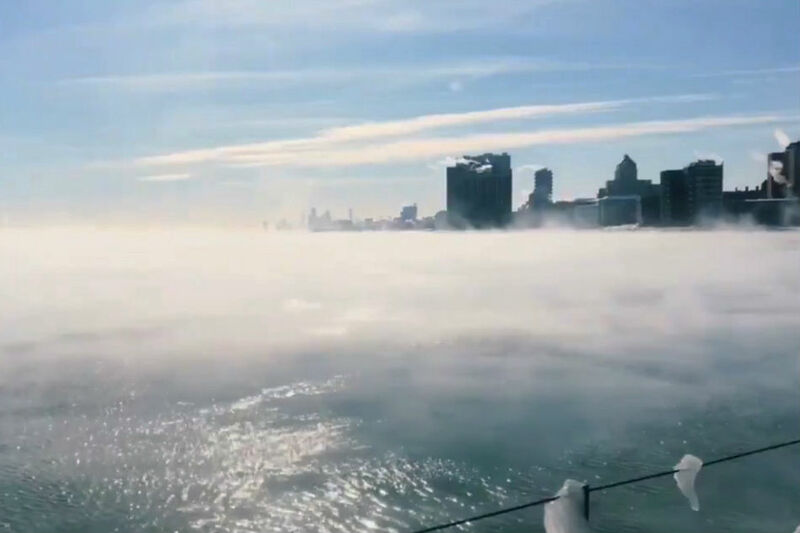 The cold eased on Friday as the jet stream retreated, with temperatures forecast into the mid-40s to low 50s Fahrenheit through the weekend and Monday.